This is the LAST photohunt I'm doing without you. Just sayin'. 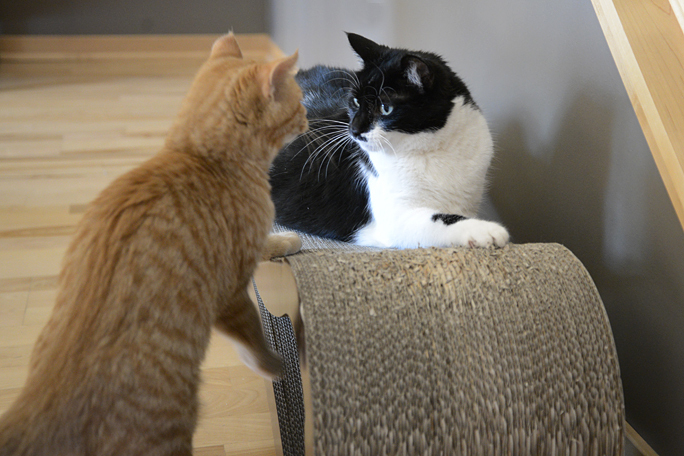 As in, "Someone is *UNDER* my scratcher." Who could it be. Who could it be. It's been 16 days since Glogirly left me. It's about time! I hope that Glogirly comes bearing gifts, and lots of them! We're glad your pawrents are coming home. They'd better have lots of treats and kitty toys for you two! Oh boy! Glogirly better be ready for this home coming! We agree Glogirly better come back with lots of gifts. Have a super Saturday. You're glare told Waffles who's The Boss, Katie! We really do hope your peeps return tomorrow. And they'd better be bearing MANY gifts!!! Try to have a good Caturday! Waffless Too shows up everywhere!! We're glad Glogirly is FINALLY coming home! Allie: *hrmpf! * Well. it's about TIME! You do have your arsenal in good order, I'm sure of it, knowing how well prepared you always are! you poor baby!!! Waffles is just taking over EVERYTHING!!!! 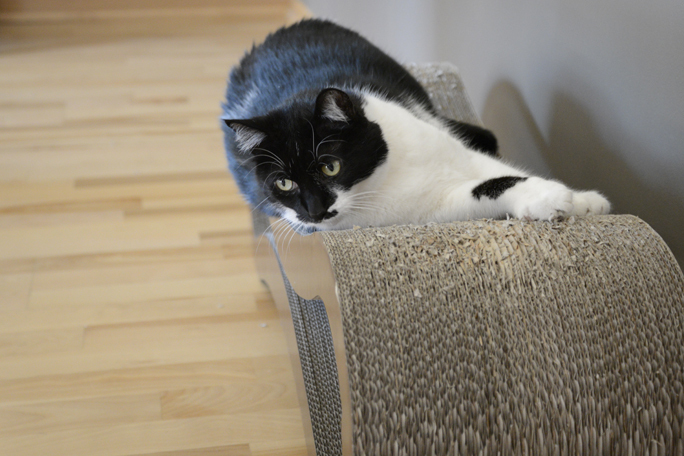 Even under your scratcher? Little imp! katie, this is just WRONG! Didn't Glogirly read the regulations that 14 days is absolutely absolutely the very longest humans may go away? Hi Katie, I bet that you mom and Gloman will have lots of treats and toys for you when they get home. And maybe a SMALL thing or two for Waffles Too. Poor Katie and Waffles - she has had the nerve to leave you with a sitter for 16 days!!!! Unheard of! You'd better get lots of prezzies to make up for it - and extra loving too. 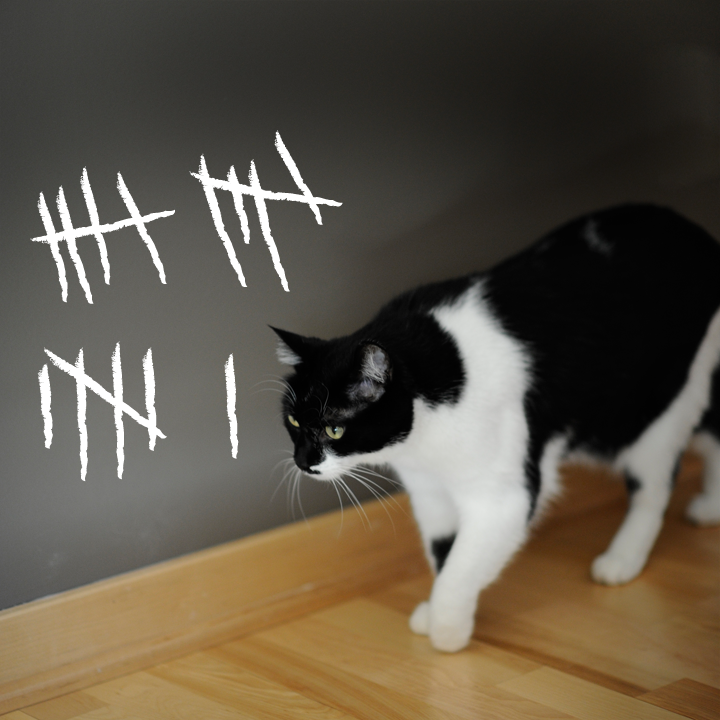 How come you kitties didn't throw a house trashing party? Was the pet sitter around too much to make it happen? I can see it in your eyes; you're NOT a happy cat anymore. You always look worried and I don't suppose it's any of GG's concern. Make sure to tell her to let you catch up with me when she gets home. I need to know that you're OK.
Oh Katie, we knew who would be under there! Thank cod Glogirly is coming back tomorrow. Srsly, we thought she might never. Yay! The cat sitter is going home! The universe will be balanced once again. Can't wait to hear about where Glogirly has been. Well, good Cod almighty, it's about time, isn't it Katie??? Sheesh. Really, she doesn't even DESERVE to have you let her in the door with the stunt she's pulled. I f she does not have an armful full of loot for you, I'd hightail it UTB and let her stew in her own juices for awhile. 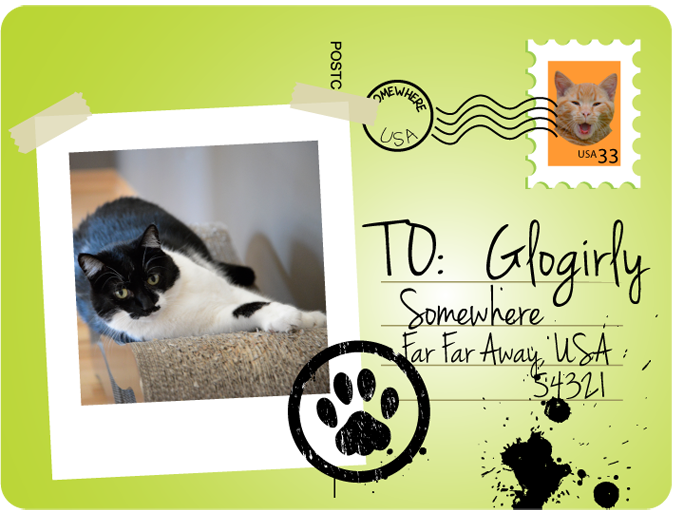 Me hopes Glowgirly and Glowman gets home really son!